Which Sparkling for which occasion? We asked some Wine Selectors Members: Traditional, Prosecco or Blanc de Blanc? With the festive season in full swing, you are going to want to have a handy stash of Sparkling on hand to make sure you have the absolutely perfect drink to toast any occasion. After all, fun, fizz and Happy New Year/Hooray for Holidays/Cheers to that etc… go together. Traditionally, that meant finding a good Sparkling wine and by that I mean the exquisite Champagne blend of Pinot Noir, Chardonnay and often, but not always, Pinot Meunier. Sometimes, you’d be looking for a smart Blanc de Blanc, that is, a Sparkling made entirely from white grapes (bearing in mind that Pinot Noir and Pinot Meunier mentioned above, are both red grapes. Of course, you knew that, but I’m just explaining it for those who don’t). Blanc de Blancs are most often made from Chardonnay, but in Australia you’ll also find impressive examples made from Semillon, Riesling or whatever white varietal winemakers have lots of and want to use to add a Sparkling offering to their cellar door range. Recently, though, there has been a sassy new lady on the scene – Prosecco. Commonly explained as the Italian version of Champagne, Prosecco has become the top-selling Sparkling wine in Europe, and it is trending that way here. It is easy to see why. It is generally cheaper than Champagne, lower in alcohol at around 12%, and has a lighter bubble, so it is a bit easier to drink and it has a stronger fruit profile so it is a versatile food match. Well heeled (or should that be perfectly palated) critics say that Prosecco is a bit simple and lacks the complexity of Sparking wine. Which is true, strictly speaking. One of the main reasons for this is the way Prosecco is made. Stick with me here as I’m going to give you a bit of background data followed by some technical details, so pay attention. Prosecco is made from the Prosecco grape, although outside of Italy you should refer to the varietal as ‘glera’ because the Italians successful petitioned to have the name protected, much the way Champagne can only be called Champagne if it comes from the Champagne region in France. However, the Prosecco law only covers Europe, so Australian winemakers can still go about their merry way making Prosecco from Prosecco and calling it Prosecco, at least for now. The method used to make Prosecco is the reason it is generally cheaper and less complex than Sparkling. Unlike Champagne, which undergoes secondary fermentation in the bottle (commonly known as the Method Champenoise – once again, you knew that), Prosecco undergoes fermentation in a tank and is bottled under pressure. The Italians call this process Metodo Martinotti, crediting an Italian winemaker called Federico Martinotti with developing and patenting the method. The French call it the Charmat method after French winemaker Eugene Charmat, who further developed Martinotti’s method and secured a new patent. All of this matters very little when you have a glass in your hand and you just want to say, “Here’s to us!” as one does at festive occasions. So to find out who prefers what, we organised one of our infamous Members’ Tastings. Usually, our Members’ Tastings are fun but also somewhat serious occasions, but seeing as we wanted to see what best to drink for festivities, we decided to make it much more of a party atmosphere. Seven Wine Selectors Members joined Tasting Panellists Adam Walls and Nicole Gow and all were in rarified company with special guest, Sparkling wine guru Ed Carr, winemaker at the mutli-award winning House of Arras, lending his knowledge on all things bubbly. Naturally, the evening started with a glass of bubbles and some delicious canapés in the boutique vineyard adjacent to the Wine Selectors headquarters in Newcastle. Then they got down to the business of tasting. A Prosecco bracket was followed by a Sparkling wine bracket and a Blanc de Blanc bracket. The results were as diverse as the palates around the tasting. On the other side of the equation, Jen Carter, Oonagh Farmer, Louisa Brown and Trudi Arnall said they preferred the Blanc de Blanc. Louisa summed it up when she described the Blanc de Blancs as showing, “more flavour and more depth of character” and being, “more aspiring.” This was perhaps a little unfair given that some of the B de Bs were aged, and with age comes complexity. The results of the tasting went like this. Everyone generally liked the Prosecco bracket, some more than others, but overall everyone enjoyed them. When they tasted their way through the Traditional Sparkling bracket, everyone enjoyed those too, the majority more than the Prosecco bracket. And once again, you guessed it, everyone liked the Blanc de Blanc bracket, with at least four of the seven guests (and all of the experts) nominating these wines as the highlights of the night. The discussions after the tasting, held over a second serving of canapés with some lounge music in the background, revealed some interesting conclusions. And with that we all nodded in agreement. It was a sentiment to which we could all toast. And we did. Cheers! Wine Selectors tasting Panelist Trent Mannell was asked to be judge at the 17th Canberra International Riesling Challenge, and he liked what he saw. Someone recently asked me what I thought the big trends in wine will be in 2017. And while I believe alternative varietals will continue to gain momentum I feel that an old favourite, Riesling , will rise again to become one of the most popular wines on the market. I’ve come to this conclusion after a stint as Panel Chair judge at the 17th Canberra International Riesling Challenge, where I was blown away by the quality, variety and consistency of Rieslings from around the world, and equally by the Australian examples, which are right there in the top echelon. Given the fact that most international wine tastings of this nature are held in Europe, the UK or America, it is a coup that we have a tasting of this kind in our own backyard. Nearly all of the credit for this has to go to winemaker Ken Helm from Helm Wines in the Canberra District . Ken is about as knowledgeable and passionate about Riesling as anyone I know and we’ve had many a long conversation about the many nuances of this wonderful varietal while sipping some wonderful examples from Ken’s winery in Murrumbatmen. 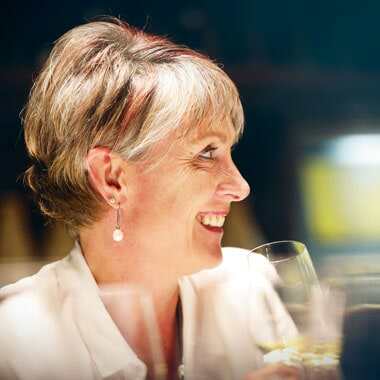 The thing about Riesling is it is so versatile – by controlling when it is picked and how much sugar is in the grape, it can be made in almost any style from dry and citrusy to sweet and syrupy. All have their place and appeal and all were on show at the Canberra International Riesling Challenge. JUDGING RIESLING ROYALTY The 2017 event featured an outstanding collection of wines from eight countries with record numbers. Record entries (512) as well as the hughest participation from Austria and Australia and the largest number of entries from Germany and the USA since 2009, and in a strong sign of the quality on show, a record number of medals awarded. There were 85 Gold Medals, 112 Silver Medals and 168 Bronze Medals – a medal strike rate of 72%; this is up from 65% in 2015. Gold Medals represented 17% of entries - a record for the Challenge, clearly a reflection of the outstanding 2015 and 2016 vintages in the Southern Hemisphere and some fine winegrowing and winemaking skills. 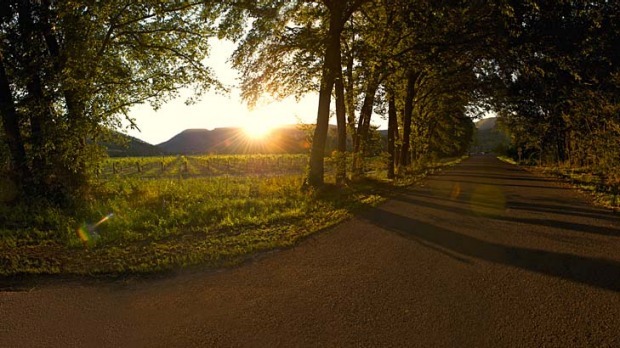 “It is indeed an exciting time for Riesling across the world,” Ken said at the Challenge. Like me, he reckons that there is an increased appetite for Riesling and once these award-winning wines hit the market they’ll be greeted with much joy. For the record Austrailan wines excelled. The Best Wine of the 2016 Challenge was Ferngrove Wines from the Frankland River region in WA for their Ferngrove Off-Dry Riesling Limited Release 2016 . The best dry Riesling went to Adelaide Hills winery Bird in Hand for their Bird in Hand Riesling 2016 , made from pristine Clare Valley fruit, while the Best Museum Riesling was awarded to the Robert Stein Riesling 2009 from Mudgee. A VERSATILE VARIETY The fact that three different regions around Australia is tip of the hat to the versatility of the varietal to shine in different conditions and a testament to the heightened professionalism and attention to detail by winemakers and viticulturists. Germany’s Weingut Georg Müller Stiftung - 2015 Hattenheimer Hassel Riesling Trockenbeerenauslese picked up two awards – the Best Sweet Riesling and the Best European Riesling, while the Mount Majura Vineyard Riesling 2016, scored for Best Riesling from the Canberra District. For all the results visit www.rieslingchallenge.com And can I give me thanks and gratitude to Ken, who is stepping down as Chair of the CIRC after 17 years at the helm. 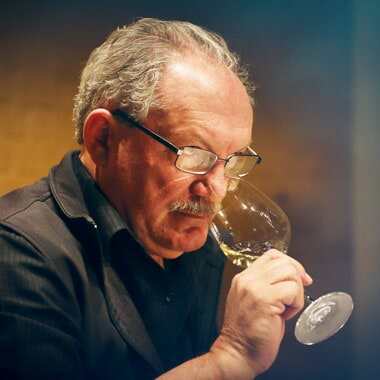 If it were not for his tireless work in instigating and perpetuating this Challenge we wouldn’t be talking about these Rieslings now, and you wouldn’t be ready to taste them. Cheers Ken, here’s to our next glass of off-dry and our chat on your creaky verandah. Prosecco is a style that’s wonderful to enjoy on its own as the party’s getting started or with appetisers such as savoury canapes of cured meats or fresh fruit such as Lyndey Milan’s stuffed figs wrapped in bastourmar . This Italian-style Sparkling is also the perfect match for light seafood or Mediterranean dishes. As the temperature rises it’s ideal with fresh, zesty Asian inspired salads like this Vietnamese summer salad recipe . Explore more of our recipe ideas now. Try Prosecco Today At its heart, Prosecco is designed to be enjoyed with friends. This light refreshing style has no pretence, and is made to be served immediately and not saved for a special occasion like Champagne. Instead, all moments are celebrations. With this ethos, it’s little wonder that it’s taking over the world.